LAS VEGAS JUNE 3-7 - The JCK Educational Curriculum states that it is PASSIONATE about education. Soon we will announce a lecture by Ron Ringsrud with Oscar Manuel Baquero, head of Fedesmeraldas, the Colombian emerald organization. The topic will be Fair Trade Activities in Colombian Emeralds - Recent Successes. 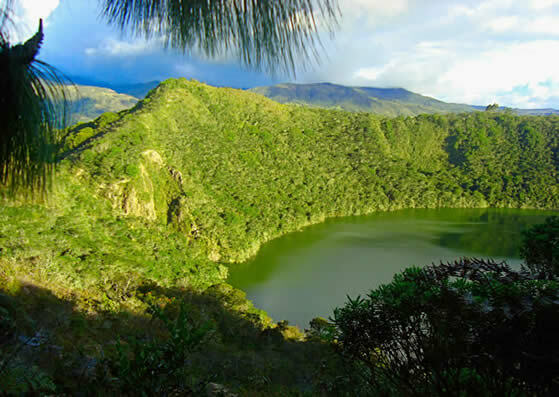 Image of Lake Guatavita, Boyacá, Colombia.